The R-392/URR is the perfect HF Ham Radio receiver for everyday use. It is built to high US military specification to withstand battlefield conditions. 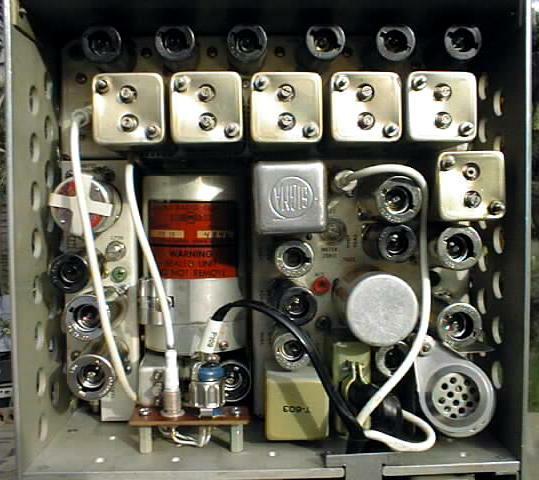 A very sensitive HF receiver for the amateur radio enthusiasts who likes to operate the proper old fashioned way. It tunes SSB very easily and sounds great on AM! 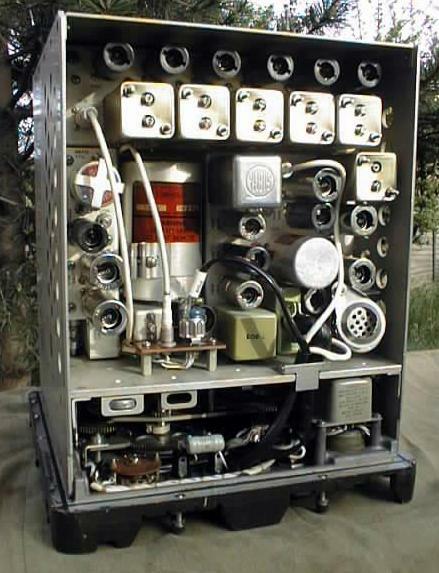 The R-392/URR is the little brother of the famous Collins R-390 receiver, it is designed by Collins and built under licence by a number of manufactures including Collins Radio Company, Philco Corporation, Western Electric and Stewart Warner.The R-392/URR is essentially a R-390 that is re-packaged in a water resistant case. It is ruggerised and is made more compact than the standard R-390 for use in military vehicles and field command posts.It operates from 24-28 Volt DC @ 3 Amps. 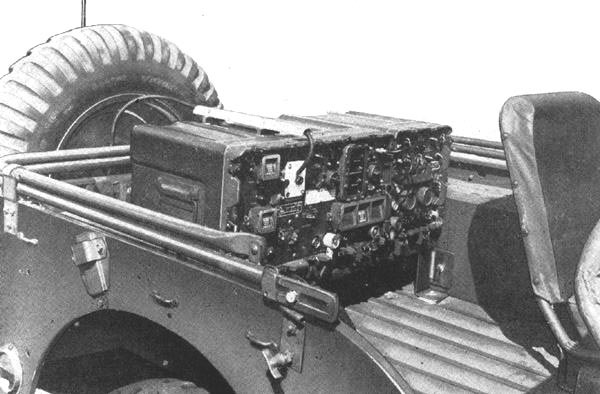 The radio is very silent in operation as it does not use any vibrators, dynamotors or other noisy voltage converters. The R-392/URR Receiver provides continuous tuning and covers 0.5-32 MHz in 32 bands. AM, CW (Voice or Tone) and SSB using BFO for product detection, Three Bandwidth settings 2, 4 and 8 KHz. Calibration points is provided every 100 kHz throughout its range. The radio can be used as a stand alone receiver or as part of a two-way radio set with a T-195 Transmitter. This configuration was called the GRC-19. 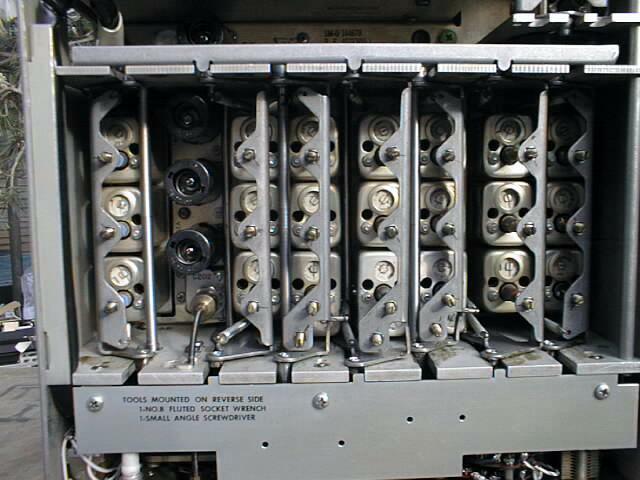 Function Switch (Off, Stand-By, Normal, Limiter, Net and Squelch), Mechanical Digital Tuning Dial, Carrier Level Meter, Megahertz Control, Kilohertz Control, RF Gain-Squelch Threshold Control, AF Gain Control, Antenna Trimmer Control, BFO Control, BFO Pitch Control, AGC Switch, Dial Zero Control, Dial Lock Control, Bandwidth Switch, Dial Dimmer Switch. One IF and two Audio Connectors, one BNC Antenna Connector and one push-on Antenna Connector, Power Connector (Power Pins A & D +24VDC, Pin E is Ground). 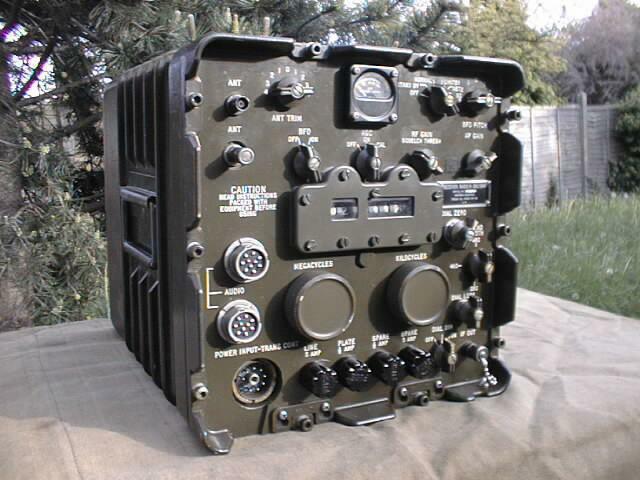 The R-392 HF Receiver is supplied tested and working with a LS-166 Loud-Speaker and a reproduction Operators Manual.